At The Dogworks, we don’t train dogs - we train the people who love them! Our classes are specially designed to build confidence and success as dogs master skills in a simple, step-by-step process and curriculum is vet-recommended. Class sizes are small so we can offer more personal attention for you and a unique training plan for your dog. And we utilise only the best positive dog training methods, which your whole family can easily master and embrace. You will be actively engaged in your dog’s training, working as a team as you learn to communicate more effectively with your dog and build a better bond. We have lots of classes and workshops from structured 'life skills' classes and our exclusive PRO Dog Program to workshops, fun scent games, tricks and specialised courses. 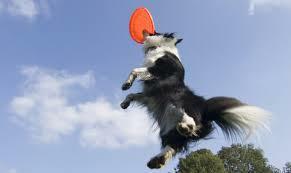 Our trainers are experts at teaching The Dogworks' Training methods, games, and solutions. We have training plans for shy or timid dogs, overly-excitable puppies, and we understand that some dogs need special help with housetraining, playbiting, or playing with children. All our puppy classes include lots of playtime in a safe environment so your dog can learn to become more social as well as learning to listen to you! We offer evening and weekend classes in our training centre in Kilwinning or at nearby local venues depending on the course. Group classes are either 4,6 or 8 week programs and classes meet for once a week for one hour. ​Take a look at some of the training options we have to offer below or get in touch for some advice on which program would suit you and your dog best.